The TaylorMade SLDR Driver has the innovative SLDR sliding weight technology coupled with a modern-classic, charcoal-gray crown head design. The easy and intuitive SLDR sliding weight allows for 21 different weight positions and promotes up to 30 yards of shot shape adjustment. The strategically placed Low-forward CG position in the SLDR head promotes a faster ball speed, high launch and low spin for extraordinary distance. 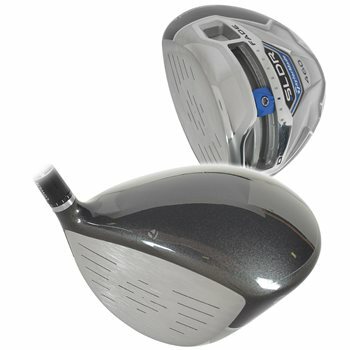 This driver also features a 12-position loft-sleeve to add or subtract 1.5° to each of the available standard lofts and a silver button-back located on the trail edge of the crown which works with the subtle crown markings for stress-free clubface alignment. The easy adjusting SLDR driver has a 460cc head and can be tuned to fit tour pros and amateurs alike.